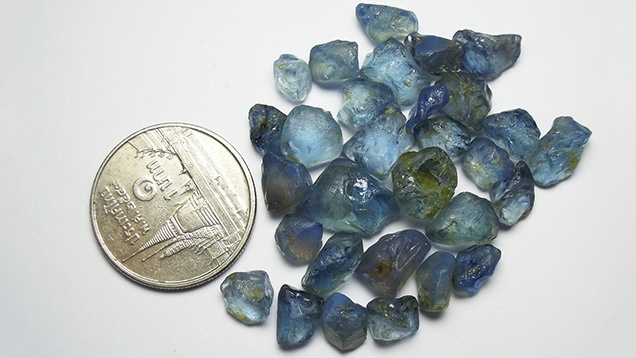 From the deep resources of Africa’s Gemstone Mines, we bring you African Blue Sapphires and at wholesale and in bulk. 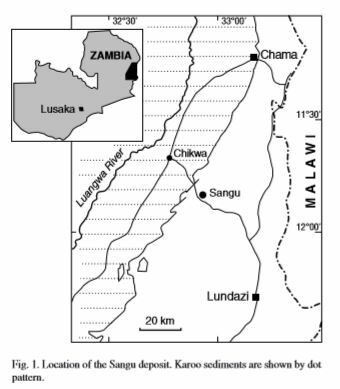 Back to Africa with the new and recent mines and unheard-of low wholesale prices. Here is a look from the GIA and other sources on the growing trend. “The recent arrival of high-quality blue sapphire from a new source in Africa has caused considerable excitement in the Bangkok marketplace. These gems, reportedly from the Mambilla Plateau in Nigeria’s Taraba State, are available in large rough sizes, some as big as 100–300 ct. Like previously documented Nigerian material, these sapphires are mined from basalt-related secondary deposits. Yet the quality is significantly better than any seen to date from those sources. Initial indications suggest that this new deposit might provide a winning combination of size, high clarity, attractive color, and good crystal habit from a cutter’s perspective. Indeed, one especially fine stone is rumored to have sold for in excess of US$1 million. Many natural blue sapphire mines and other mines started up within a couple of years ago and though many in Africa live in poverty because most live under $1 a day, the countries are rich in resources and the region is becoming the next big supplier of gemstones. We hope these profits will return to the local people of these African mines in an ethical and sustainable fashion. Most of the African Blue Sapphires are a darker blue sapphire and African blue sapphires are some of our most popular products. 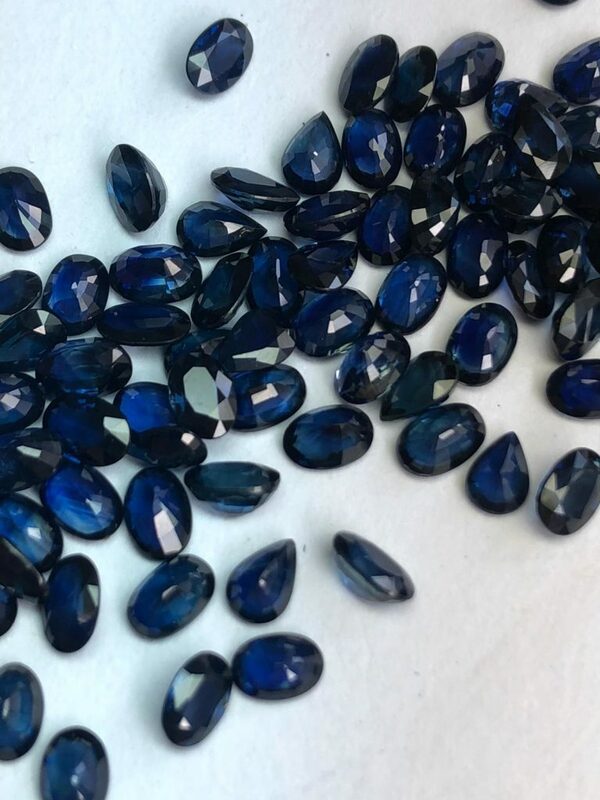 We source Ethiopian Blue sapphires, Nigerian blue sapphires (very popular), Kenyan blue sapphires, Nairobian blue sapphires. 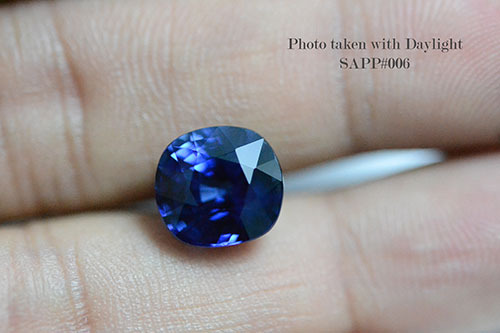 This darker blue sapphire tone can impart lower prices aside from our already low wholesale prices. Other than the African Blue Sapphires we also source Zambian Garnet, Mozambique Garnet, Nigerian Amethyst and many more types of gemstones and all at wholesale gemstone prices to you. Our Bangkok Gemstone Supplier Office is located in the Jewelry Trade Center Tower in Silom and several Gemology labs are located within the building like AIG and the GIA Laboratory is near as mentioned. We have the ability to certify our Blue Sapphires and any gems as the owner of Navneet Gems is a GIA Carlsbad Graduate Gemologist and we can also provide certification from any of the other laboratories if you choose. 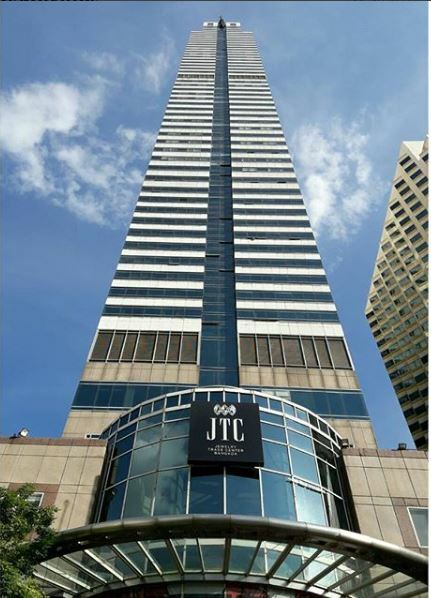 JTC Tower Bangkok where our office has been and in business for over 20 years here. Contact us with the contact page links or other contact information there such as phone and email. Our office team will gladly respond to you promptly and offer any answers or advice on your bulk order of our African Blue Sapphires.